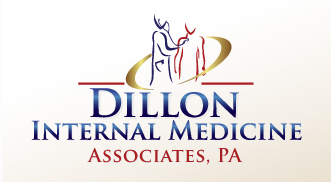 Patients at Dillon Internal Medicine have access to a full array of services, procedures, and diagnostic studies. Our healthcare providers are prepared to address your concerns and manage chronic medical conditions in a modern environment that aspires to the highest standards. Dillon Internal Medicine has partnered with Allscripts to provide you with an Electronic Health Record that facilitates your care in an efficient and technologically advanced manner. We utilize ePrescribing to communicate with pharmacies for fast and convenient medication prescribing. 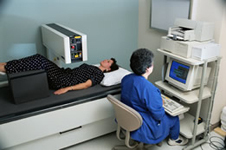 A routine physical exam is recommended at least once each year for patients of all ages. 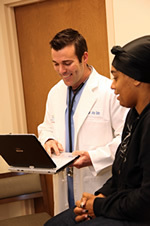 This complete examination allows us to evaluate your body from head to toe for any signs of abnormalities. Regular exams are important to help detect any problems as early as possible. 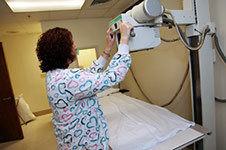 Cancer screening is an integral part of our examinations. Our state-of-the-art laboratory operates under the strictest standards and is staffed by highly qualified technicians. Our equipment is on the leading edge of today's technology. All materials are clearly and carefully labeled to ensure that there is no chance of a mistake, contamination or security breach. 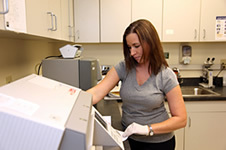 All of these precautions are taken to ensure that our patient specimens are processed in an accurate and timely manner. Labs that cannot be done in our office are processed by our staff and sent to LabCorp , an independent company that performs most specialized tests. Vaccines are an important aspect of adult health. They serve to strengthen the patient’s immune system in order to protect against germs that can cause life-threatening illness. Common vaccinations for adults include influenza, pneumococcal, tetanus, hepatitis B, varicella, meningococcal, and zoster. Age, travel, lifestyle and medical conditions determine what vaccines patients require. 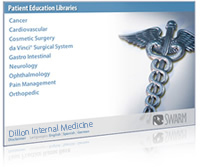 Vaccines are always available for patients at Dillon Internal Medicine. Visit the Centers for Disease Control and Prevention website for more information on vaccines & immunizations. Visit the National Institutes of Health - National Instititue of Arthritis and Musculoskeletal and Skin Diseases website for more information on osteoporosis. Pulmonary function tests (PFTs), also known as spirometry tests, measure the function of the lungs. These tests can diagnose lung diseases such as asthma, bronchitis and emphysema or determine the cause of lung-related symptoms. The airflow in and out of the lungs is measured by breathing into an instrument called a spirometer which records the amount and rate of air. These measurements are recorded under a number of different conditions to detect any lung abnormalities. Visit the American Lung Association website for more information on lung disease.